DanceLive weekend 2 was an important one for me. We had the emphasis on celebrating the dance and creativity that is happening in Scotland right now. Thursday evening began with a double bill presenting works from Tess Letham, How to Survive the Future, and Katie Milroy’s Curated Moments. Tess’ piece is raw, funny and moving. She takes the audience through a journey, looking at turmoil and desperation, but in a way that takes the audience with her, making points that can be relatable to anyone. I find this piece incredible touching and it’s one of the only pieces I’ve seen recently that has the power to make me laugh and cry, all in 20 minutes. I first presented this solo at Hidden Door 2 years ago. It has seen developed as Tess has. It is a beautiful solo that looks at improvisation, physical theatre and flying low technique. Katie Milroy’s Curated Moments looks at 5 women in day to day life, such as when in coffee shops or in public, looking at how we feel and what gestures we use. I am one of the dancers in Katie’s piece, something that made me so happy and honoured. It was truly amazing to be one of the Festival Directors’ AND a dancer in somebody else’s work. Katie works organically, using input from her dancers whilst guiding and leading them. She truly believes in collaboration and looking at relationships between individuals. The work is very dynamic and uses 5 dancers. There are sections that are able to be presented on stage or outdoors, and Katie created them with accessibility in mind, allowing dance to go to people who would not normally experience it. Friday night was one of my favourite nights of the festival. What we really managed to achieve was variety, and I felt we really celebrated a variety of dance currently being made in Scotland. Eowyn Emerald and Dancers opened the night, presenting a full length show at The Lemon Tree. This incorporated technical excellence, whilst using music and story telling aiming to be accessible to as many as possible. Eowyn’s work is dynamic and energetic. She explores relationship between dancers and from start to finish, the choreography incorporated full-on physicality. She put her show together using a variety of smaller pieces places together, keeping the audience on their toes at all times. Eowyn has now been based in Scotland for a year, moving from Portland, USA. She brings a refreshing point of view, using athleticism and technique together to portray meaningful and heartfelt choreography. Eowyn’s extensive experience was really apparent and this sell-out show set the evening off brilliantly. We then proceeded to Citymoves’ own venue, The Anatomy Rooms, to conclude with a double bill from two exciting Scotland based choreographers, Suzi Cunningham and Aaron Jeffrey. Aaron’s work, Another Dog Barking, was funny and relatable, symbolising those moments that we all have, when we feel totally alone but just go along with it. He made humorous partner work with a toilet roll and a fan and really took the audience with him on this journey of physical theatre, comedy and dance technique. Suzi’s work, Bubble, explored another world, as she moved through butoh inspired combinations using extreme strength and agility to land here, moving through plastic, in shopping trolleys. Her strength blew me away, and there wasn’t a moment in this 20 minute solo that I wasn’t truly captivated. The control she has over her body is really exceptional. Using this in her solo, alongside her personality, created a wonderful, funny and other worldly experience. One thing that was incredibly important to me for DanceLive18 was to ensure that there were participatory activities available every weekend, creating a lucrative experience for people to travel to, as well as encouraging artists and participants alike to connect. There worked exceptionally well and allowed artists to meet one another, visiting artists to have a more positive experience while visiting the festival and our community to feel nurtured with new and exciting workshop opportunities. 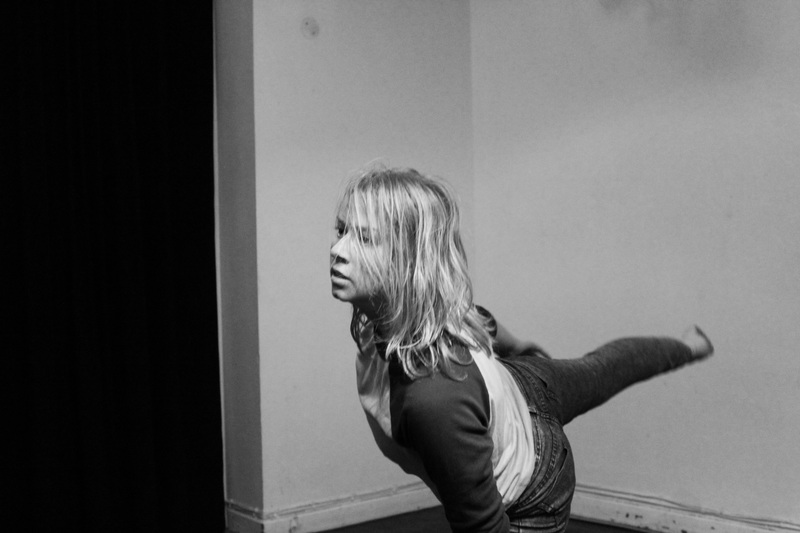 This weekend’s was delivered by Suzi herself, who took us on a journey of improvisation and butoh exercises. It was a grounding workshop, that made me feel connected to my body and to others in the space. We had a real range attending this workshop, from regular class attendees, visiting artists, to our Youth Company members. Suzi is very charismatic and even if we were being pushed out of our confront zones we trusted Suzi to take us there safely. Saturday night consisted of our “Youth Graduate Showcase’, another sell out show. I invited recent graduates that showed exciting potential, and two of Scotland’s best youth companies. I had my work represented at DanceLive last year, much to my joy, and I felt so proud and honoured to have my work at Scotland’s most prolific Dance Festival. Therefore, this year, I wanted to spread that opportunity around, and use it to allow us to celebrate the work that one another are making, and the new talent that is rising around us in the forms of Youth Companies. These are auditioned, so really highlight excellence. We had Lothian Youth Dance Company with choreography by Errol White and Davina Givan and our very own Fusion Youth Dance Company with choreography from Steven Martin. Alongside professional dancers Niamh O’Loughin, Taylor Han, Jemma Stein and Shaun Stickland. Each piece was energetic, some funny, some moving and some deeply personal. The evening presented real variety and the bite sized pieces of choreography complimented one another well. I really wish that I had named this evening differently, as a graduate is a professional in their own right, therefore does not need this title. Were I to do this again, I would explore naming the event ‘FRESH’ or something better! It was a real joy to use the Anatomy Rooms as the venue here, celebrating what Citymoves has at it’s finger tips. The evening welcomed a real variety of audience from community supporters to well known choreographers and the welcoming feel really felt celebratory. I truly believe that we have some truly inspirational work here in Scotland, and as much as DanceLive is about welcoming national and international artists to the city, it also felt wonderful to honour what we have here.